Smurf knows everything that is going on and nothing gets past her. 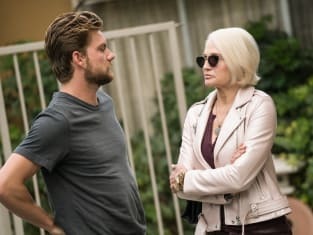 Animal Kingdom Season 3 Episode 13: "The Hyenas"
Animal Kingdom Season Finale Review: Game On! Craig: So what are you going to steal? Frankie: Everything, baby. Absolutely everything. Permalink: Everything, baby. Absolutely everything. Frankie: I like your mom. Craig: You don't know her. Frankie: She's cool. A survivor. Permalink: She's cool. A survivor.